Cameron Thomas is a junior from the small town of Port Gibson, Mississippi. He serves as one of the copy editors and a staff writer. Other than The Vision, he is apart of FBLA, 4-H, Black Student Alliance, Mu Alpha Theta, Boys and Girls Club, Speech and Debate and Blu Knightz. He enjoys writing, math, psychology, helping people, and looking at life from a very different perspective. 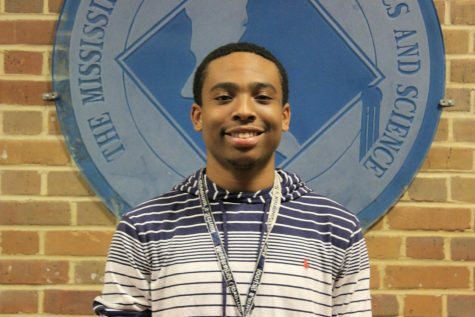 Thomas aspires to become a psychiatrist and an author, and he plans to start working on achieving his endeavors while here at the MSMS.